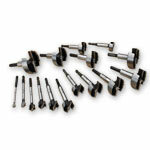 Fisch Forstner Bit - 1-7/8"
Austrian made Forstner bits by Fisch are hands down the best Forstner bits in the world!Made from forged steel, and utilizing their exclusive "Wave Cutter" design, this is a true production quality bit. In tests against other premium European bits the Wave bits lasted over 3-1/2 times longer (972 holes vs. 270 holes) before needing re-sharpened. The wave edge not only cuts clean, but it can also be re-sharpened by hand as many as 30 times before needing replaced. 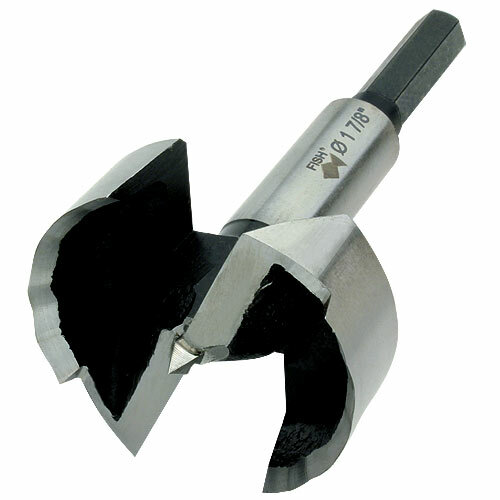 Bits have 1/4" "no-slip" hex shanks. Made by Fisch. Austria.